Databar Events - Store - NEW-- Men's MM Yellow L.S. 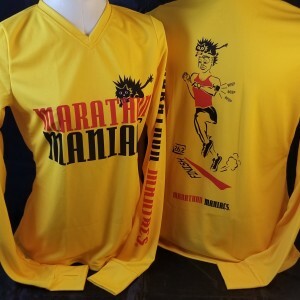 Introducing Men's Maniac Yellow ATAC Long Sleeve with thumb hole. Men's is NOT a vneck. Ladies cut is shown in picture. Both share the same artwork.